Before I say anything about (some of) my current projects, I'd love to invite you all to enter a giveaway that I'm hosting. 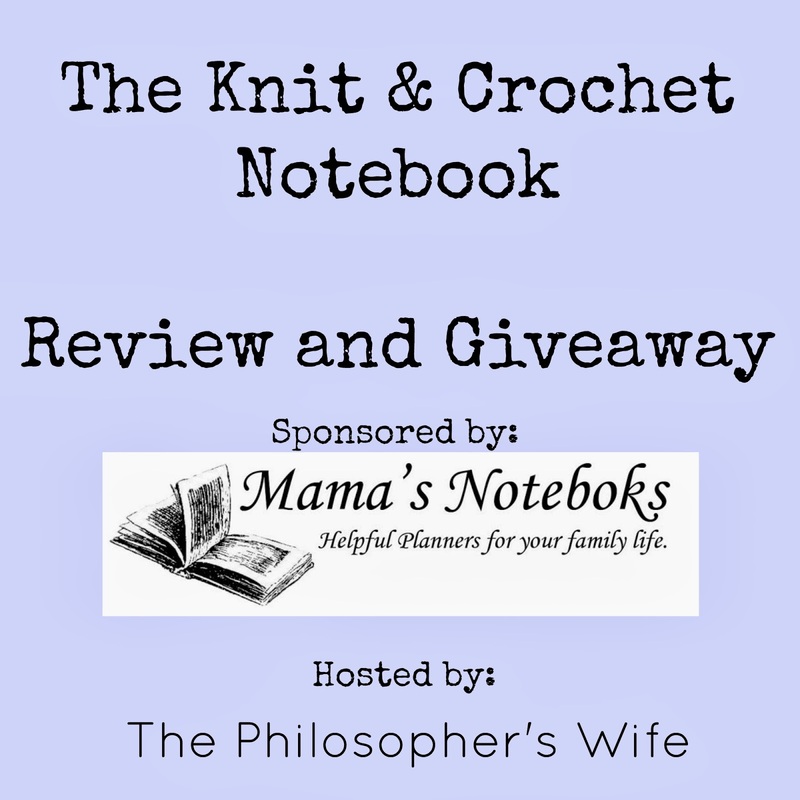 The winner will receive a copy of The Knit & Crochet Notebook: Project Planner and Organizer. I highly recommend this notebook for anyone who knits or crochets. Now for the things that are keeping me busy! I am working on a big project right now, but I can't share it until next month. I'm pretty excited about it. Meanwhile, I found some of my previous WIPS that got forgotten in our big move. 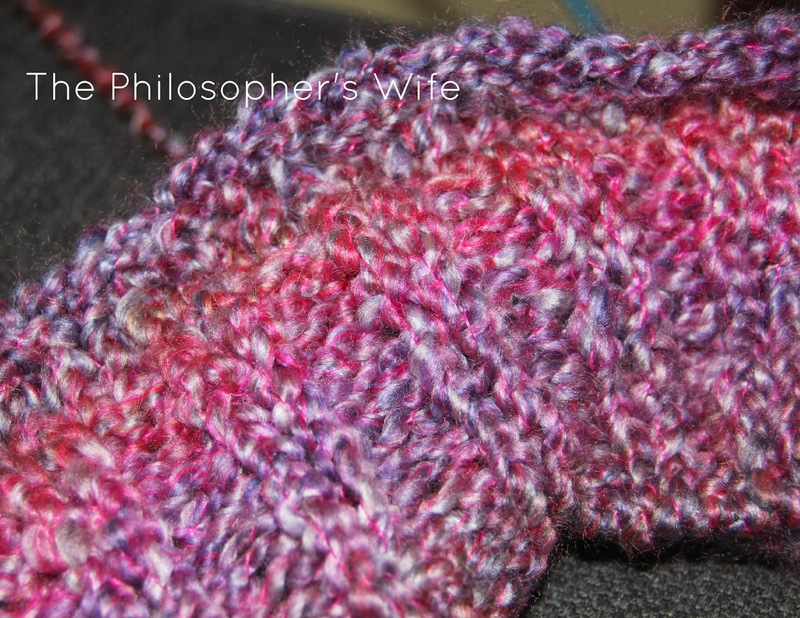 This pink lacy scarf with violets on the edge is so close to completion. I think I started crocheting this one over a year ago . . . I really should take an hour or two and finish it! 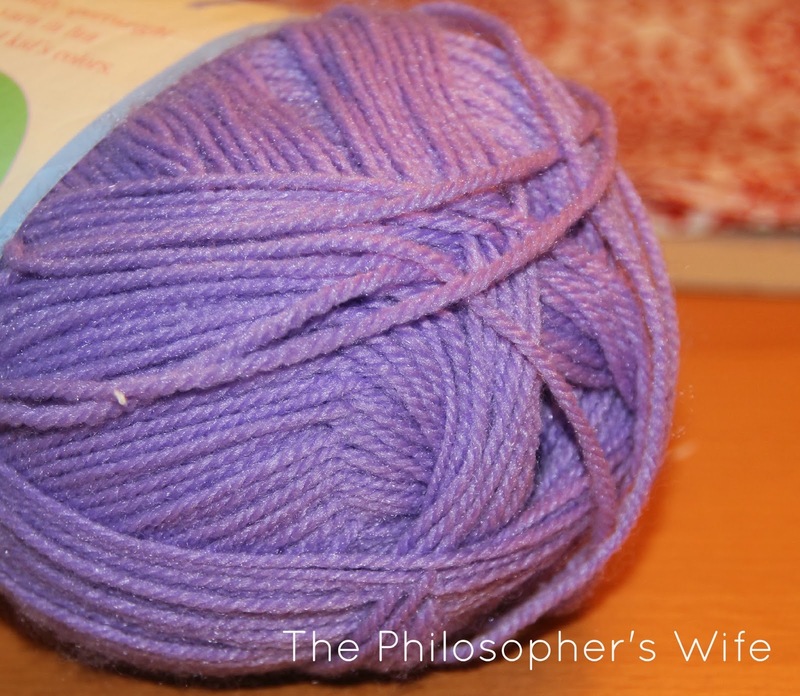 I'm still working on knitting my purple cowl, although I am tempted to unravel it and start again. I am not super happy with the starting edge and think that I could do better. This Homespun yarn is so difficult to photograph! What do you think? Should I start over or keep going? I also started to crochet another hat. I just find them so relaxing to make while sitting on the couch. (Unfortunately, with this never ending morning sickness I sit on the couch a lot.) Catherine wants it to be her Christmas hat. I have some Christmas yarn somewhere, so maybe a nice red flower or something would make it festive enough to be called a Christmas Hat. I love followers and I love following new people! 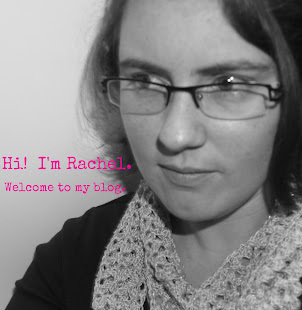 If you follow me on GFC or Bloglovin' leave a comment letting me know and I'll gladly return the favor! All sorts of neat yarn here! My word - that homespun looks wonderful. How far along are you? If you're faster than me, I'd say pull it and start over. 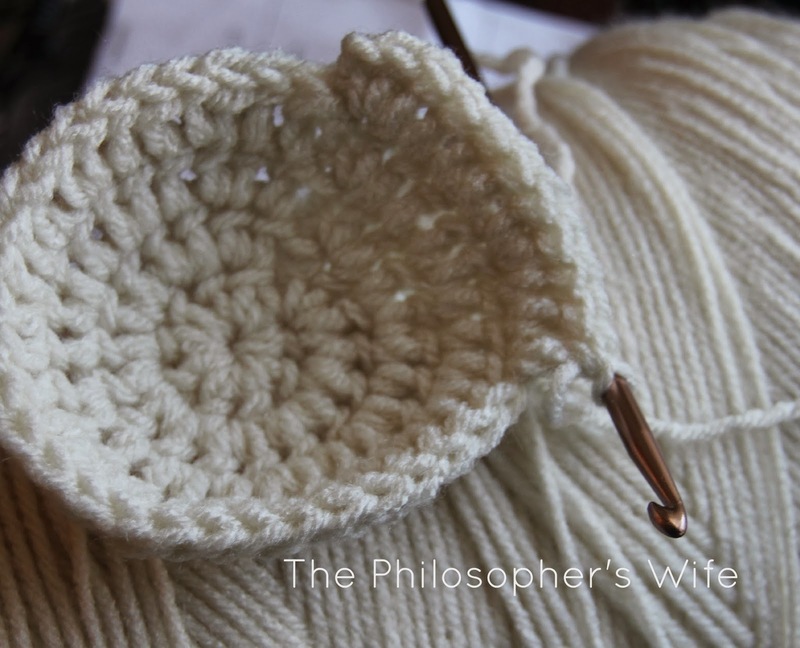 I'm still such a newbie knitter though that I have to consider how many (many! lol) hours it has taken me to get to a point and to get back to it. My mom crochets and just zooms along. 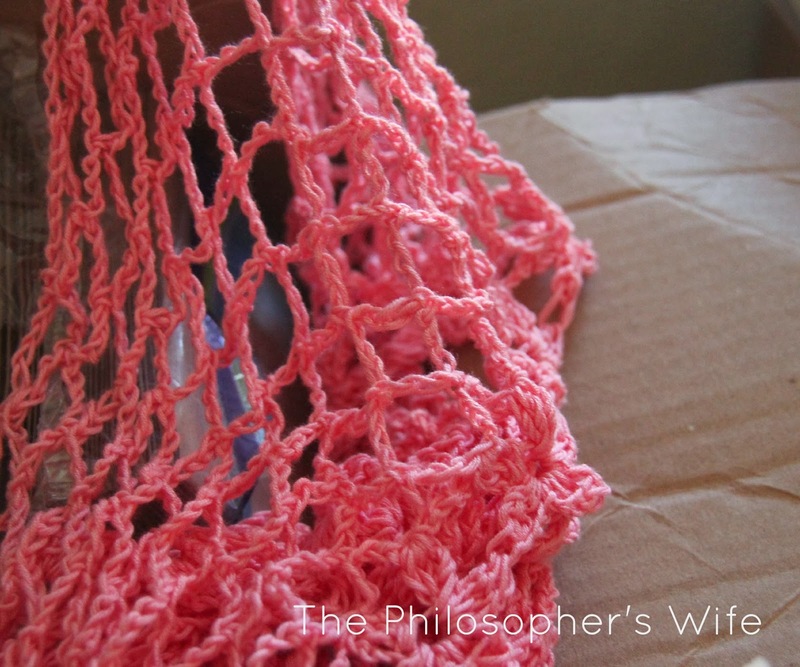 Aw lovely projects :) I'd personally unravel the cowl, I think if it's bothering you and it's not going to block out then it's worth doing it again. Maybe put the cowl in time out for a bit first though lol. Lovely work, and delightful colors. Feel better soon.